*Tip of the toupee to Rob Smiley for suggesting this post. I’m proud to say that some years ago my brilliant and accomplished daughters attended one of the most esteemed private schools in New York. One afternoon, together with an all-boys school they held a career day. I suppose that was long enough ago that, at least to an outsider, it appeared my career was on the ascent. So, I was there representing the ad industry. In short order, I found myself in front of 20 or so sullen and pubescent teens who had chosen to learn about advertising probably because the seminar on sword swallowing was already filled. They were hardly attentive, and naturally, no one would give me eye contact, they were teenagers, after all. So I did what I do when I’m nervous, I started being funny. “So you all hate advertising,” I said. They looked at me and were pissy. Not an atypical reaction when people look at me. I think everybody hates advertising until they have to sell something. 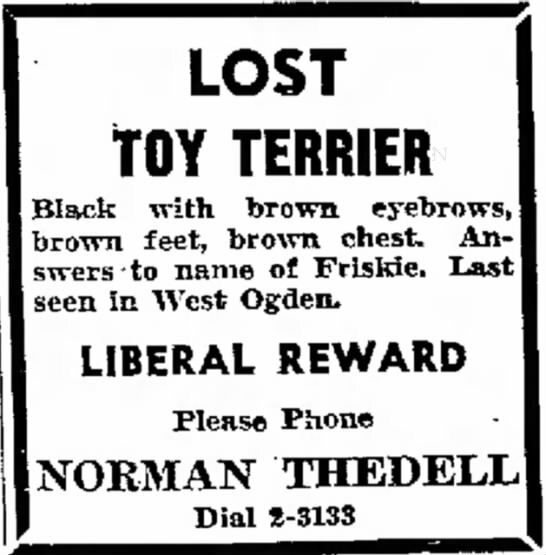 If you lost your darling terrier Friskie you’d probably post ads in your neighborhood announcing a reward for his return. And once Friskie had found his way back to your proverbial bosom, you’d probably, for an instant anyway, love advertising. My firm belief is people don’t hate advertising, they hate being used. They hate being charged to watch tv via cable, then charged again by being besieged with too many commercials. They also hate dumb. And most ads are dumb. They hate fake. And most ads are fake. They hate shrill. And most ads are shrill. They hate being insulted. And most ads are insulting. Our job as ad people is to create work that touches and motivates people. That makes them think, laugh, learn, even lust for something. After about 25 years of Apple ads and 35 years of Nike ads, I’ve never heard anyone say they hate those commercials. In fact, people share them and talk about them. They willingly do our work for us. Maybe instead of succumbing to the idea that people hate us, we should learn from those instances where they really love us. And try to create something people will love.